With the launch of the all-new exclusive Triumph Factory Custom offer for 2019, Triumph delivers a landmark moment for British custom design, with an exclusive limited edition line-up of ultra-premium motorcycles. 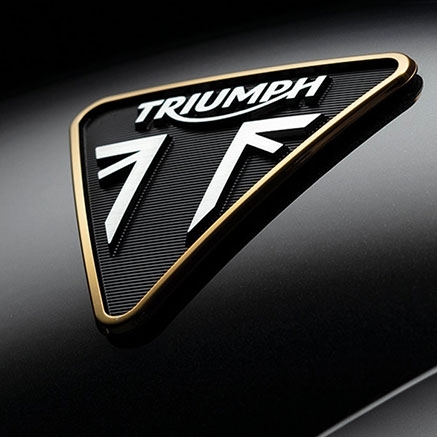 Every TFC motorcycle will be built to embody the absolute pinnacle in custom Triumph design, with a unique level of enhanced performance, technology, engineering, specification and exquisite finish. The new line-up starts with the beautiful, more powerful, lighter and even higher specification Thruxton TFC, and a hint of what’s to come next with the stunning concept Rocket TFC. Each limited to only 750 worldwide, individually numbered and never to be repeated. Each with a unique higher level of performance, specification and finish. Carefully crafted to be the most beautiful and desirable Triumphs ever made. The launch of the Triumph Factory Custom Offer reflects Triumph’s unparalleled impact on the custom scene, which springs from a unique passion and expertise that lives within Triumph. This is a passion that has been demonstrated many times over with a host of unique motorcycles created within a dedicated factory design workshop. From individual custom ambassador bikes to movie bikes and multiple racing bikes, from off-road to track and drag-racing bikes, all built to ride, and many to race, each showcases the world-class talent in design and handcrafted custom art of the Triumph factory custom team. With the genesis of the TFC offer coming from the 2014 Triumph TFC Bobber and TFC Scrambler, the launch of the very first TFC model available to riders worldwide signals the beginning of a new truly special offer with the most beautiful, exclusive and desirable Triumphs ever made, with more TFC models to come. Each of the numbered ultra-premium custom limited editions to come will feature a higher specification of technology and equipment, better performance and crafted custom design with class-leading detailing and finish. The Rocket TFC concept showcases the next stunning TFC model to come and will be launched on 1st May 2019, with full details and specifications. Triumph’s legendary Rocket III, launched in 2004, was renowned as a pure original, taking the world by storm with more muscle, presence and power than any of the competition. Now, 15 years on, an ultra-rare, ultra-premium Triumph Factory Custom Rocket is planned. With an incredible array of custom details, premium finishes and beautiful practical touches, including an interchangeable dual or single seat, the new Rocket TFC goes straight to the top of every motorcyclist’s wish list. The new Rocket TFC will be nothing short of the ultimate motorcycle, with world-beating performance, cutting edge technology, muscular presence and unique engineering innovations. To discover more about the TFC range or place your deposits, contact a member of our team on 01244 323 845.